In this view, we see the Terre des hommes sculpture resting between two lampposts near the stone walkway leading down to the dock. 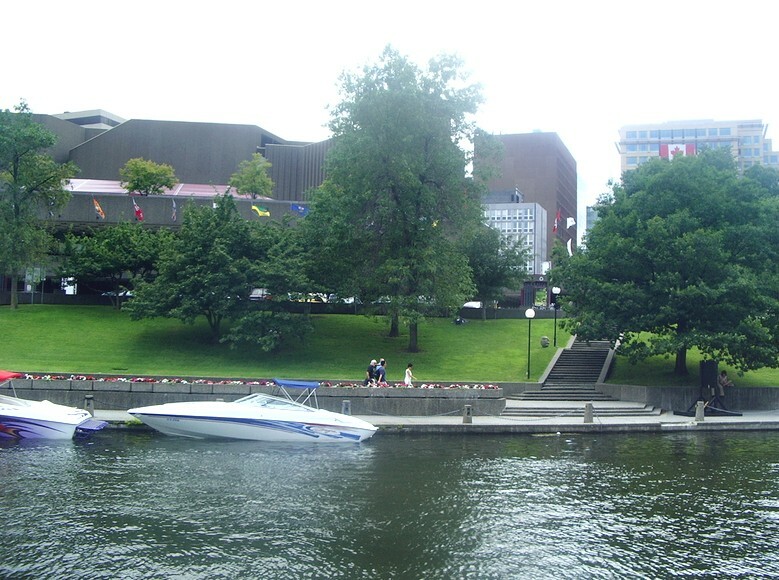 This particular photo was taken from the Government Conference Centre which overlooks the Rideau canal. The building to your upper-left is the National Arts Centre for the performing arts.